Qlaqs, Time Tracking easier than ever! Working times in an species-appropriate environment. 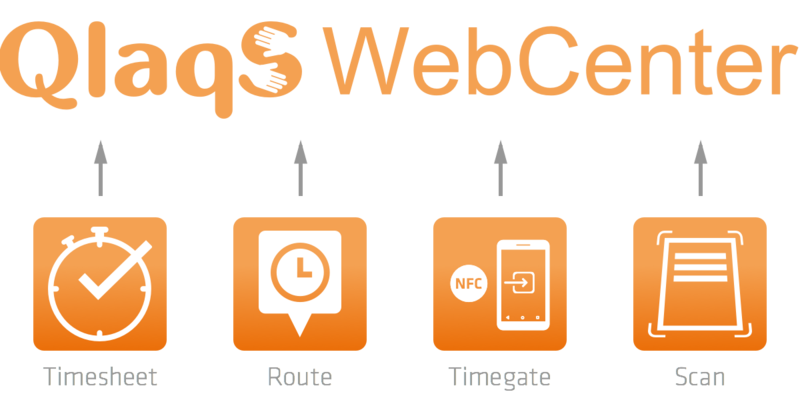 Qlaqs is a cross-platform product family for time tracking. Suitable for freelancers, small teams and medium-sized enterprises. Independant and across all platforms! Your data are saved securely in the Qlaqs Cloud. You can access them with your smartphone, tablet or pc with the help of the Qlaqs WebCenter. Manage your team, create new users and generate accurate reports of your activities. With the native Qlaqs Apps you can master your data from everywhere. With the Qlaqs Terminal you can do the time tracking for your eomployees even faster and easier. The products of the Qlaqs family are a perfect team. In all our apps we offer you the possibility to deliver your data directly into the Qlaqs Cloud. Use our apps and keep the overview over your data and the data of your team. Additionally you can benefit from the multiple reporting possibilities of the Qlaqs WebCenter. The Qlaqs Sync helps to make your data synchronous on all your devices. Teamwork — smart, easy and secure. Qlaqs is the ideal tool for teamwork. Working times tracked on your desktop, with your smartphone or tablet are available everywhere and everytime. Your data are encoded by ssl, transferred to our server and there saved as backup. During this process your data are always encrypted. Keep your data always up-to-date! With the Qlaqs your data are synchronous - everytime and everywhere.